Hotels are not just for overnight stays, they also provide conference room solutions for businesses, offering catered, comfortable spaces to hold important business functions and meetings. 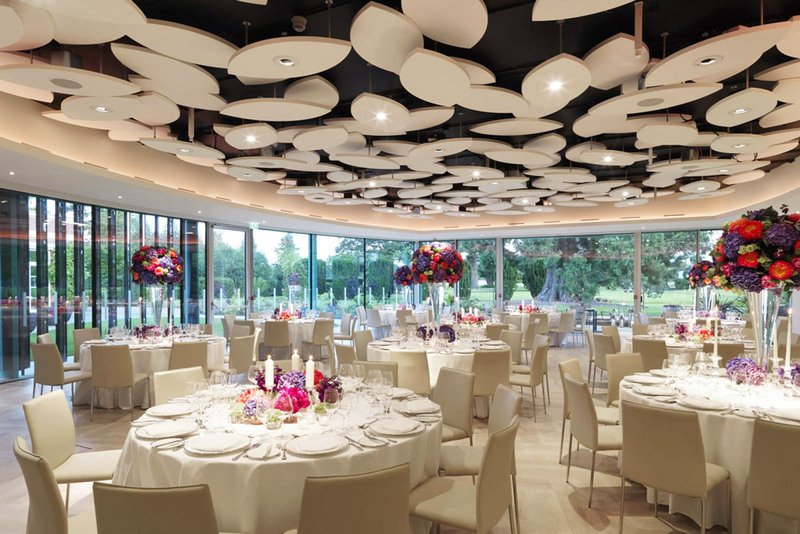 The Grove Hotel contacted Resonics to provide an acoustic solution to its large conference room – The Cedar Suite. A new build, the room had to be optimised acoustically to allow for conferences using AV equipment. 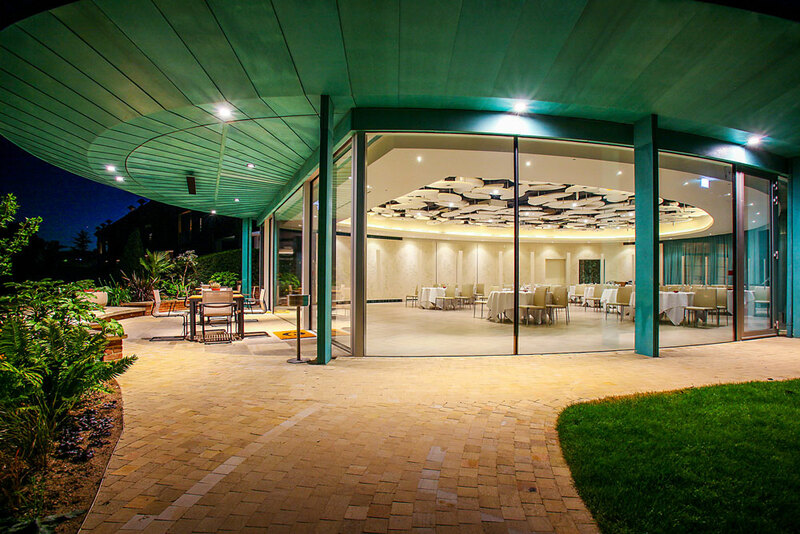 A comfortable acoustic environment was imperative for speakers and guests. Hotels are client-facing businesses and have to take the comfort and pleasure of their guests into account at all times. Therefore, it was imperative that our acoustic solutions met an aesthetic need as well as an acoustic one. To provide this, we used Ecophon’s versatile ‘Freedom’ panel as our chosen solution. The Freedom panel allows you to design your own custom panel shapes. 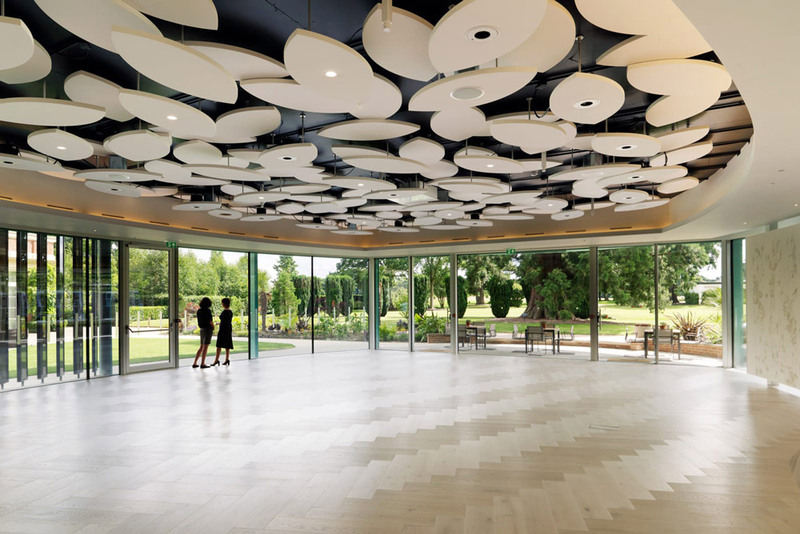 Working alongside Martin Hulbert Design Architects, we CNC-cut the panels to form leaves, which we then layered and scattered across the room’s ceiling. A stunning feature ceiling, giving the space added texture and appeal. The high density of panels gave the room great sound absorption, giving clarity to meetings and conferences.